Delicious Caramel flavoured meal bar, dipped in milk chocolate. 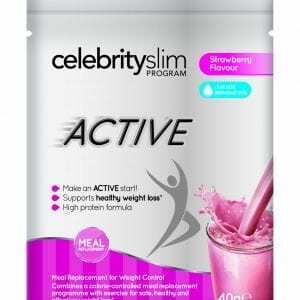 An excellent addition to the Celebrity Slim ACTIVE range. Soya Crisps (Soya Protein, Tapioca Starch, Salt), Milk Chocolate with Sweetener (15.5%) (Maltitol, Cocoa Butter, Whole Milk Powder, Cocoa Mass, Emulsifier (Soya Lecithin), Flavours), Fructose Syrup, Raisins, Glucose Syrup, Oligofructose, Soya Granules, Vegetable Fibres (Acacia Gum), Soya Protein, Minerals (Dipotassium Phosphate, Tricalcium Phosphate, Magnesium Oxide, Ferric Diphosphate, Zinc Oxide, Copper Sulphate, Manganese Sulphate, Potassium Iodide, Sodium Selenite), Sunflower Oil, Oat Flakes, Almonds, Milk Caramel (1.1%) (Whole Milk Powder, Glucose Syrup, Sugar), Sugar, Flavours, L-Carnitine Tartrate, Emulsifier (Soya Lecithin), Vitamins (C, Niacin, E, Pantothenic Acid, Riboflavin, B6, Thiamin, A, Folate, Biotin, D, B12), Milk Fat. May contain traces of Egg, Peanuts, Nuts, Sesame and Lupin. Energy 1548kJ, 369kcal, Fat 11.5g, of which Saturates 4.5g, Carbohydrate, total 37.2g, of which sugars 25.2g, Fibre 11.9g, Protein 20.0g, Salt 1.0g, Vitamin A 362μg, Vitamin D 2.6μg, Vitamin E 5.2mg, Vitamin C 23.3mg, Thiamin 0.57mg, Riboflavin 0.83mg, Niacin 9.3mg, Vitamin B6 0.77mg, Folic Acid 104μg, Vitamin B12 0.72μg, Biotin 25.8μg, Pantothenic Acid 1.55mg, Calcium 363mg, Phosphorus 637mg, Potassium 863mg, Iron 12.5mg, Zinc 5.9mg, Copper 1.03mg, Iodine 67.2μg, Selenium 28.5μg, Magnesium 100.7mg, Manganese 0.87mg. 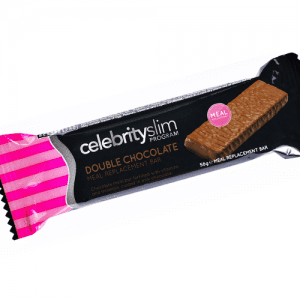 Energy 898kJ, 214kcal, Fat 6.6g, of which Saturates 2.6g, Carbohydrate, total 21.5g, of which sugars 14.6g, Fibre 6.9g, Protein 15.1g, Salt 0.6g, Vitamin A 210μg, Vitamin D 1.5μg, Vitamin E 3.0mg, Vitamin C 13.5mg, Thiamin 0.33mg, Riboflavin 0.48mg, Niacin 5.4mg, Vitamin B6 0.45mg, Folic Acid 60.0μg, Vitamin B12 0.42μg, Biotin 15.0μg, Pantothenic Acid 0.90mg, Calcium 210mg, Phosphorus 369mg, Potassium 501mg, Iron 7.2mg, Zinc 3.4mg, Copper 0.59mg, Iodine 39.0μg, Selenium 16.5μg, Magnesium 58.4mg, Manganese 0.50mg.